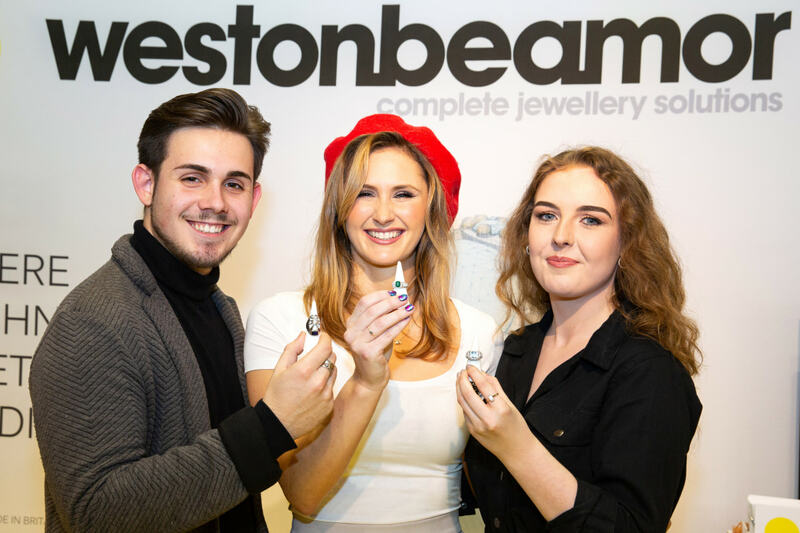 Birmingham City University (BCU) School of Jewellery (SoJ) student Kai-Blu Triassi has won the annual Weston Beamor (WB) Live Project with his contemporary geometric ‘Dyad’ engagement and wedding ring set design. The annual competition is open to all BCU SoJ students in their second year of a Higher National Diploma in Jewellery Manufacturing. Competition for this year’s top spot was fierce, with the judges praising the high quality of all entries. The brief was to design a commercially viable ring set using Fairtrade Gold and retail-standard stone sizes and shapes. The students also had to demonstrate how they would promote their ring set, through the creation of a retail launch advert. Kai-Blu and bold ring set, commercial-focus, unique design and understanding of thickness and tolerances, demonstrated impressed judges with his striking through his strong CAD modelling skills. Winner Kai-Blu, second place winner Lorna McNaught and third-placed Hayley Jones, particularly impressed judges because of the level of consideration each finalist had given to the CAD process; each design was of such high quality in terms of manufacturing robustness, that they could have gone straight into commercial production. 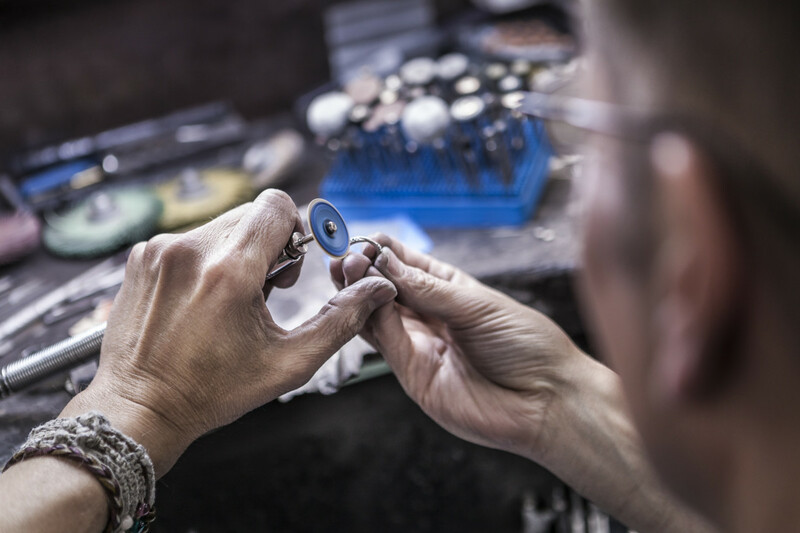 A prototype of each finalist’s ring set was produced, overseen by WB Bespoke CAD Designer & 3D Print specialists Anousca Hume and Heather Bradbury, and exhibited on the stand at Jewellery & Watch. 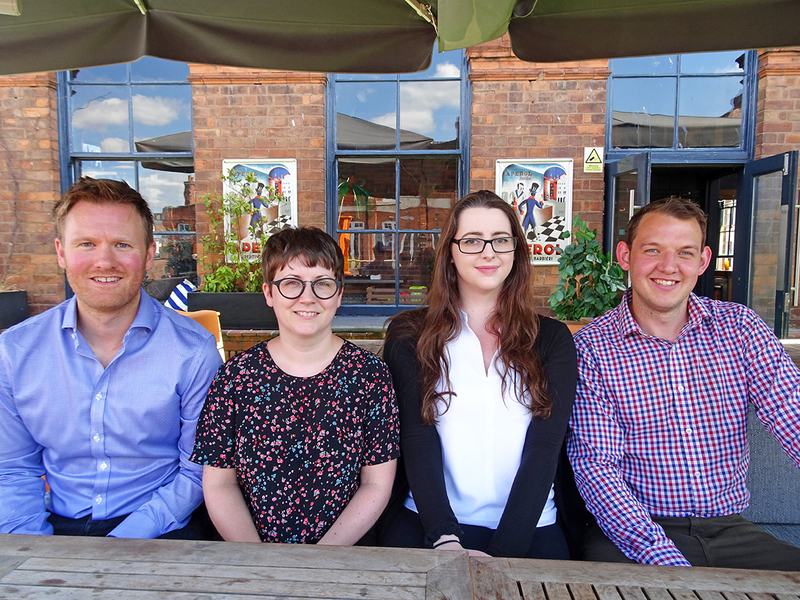 All finalists will receive a week’s work experience at WB, where they will engage in a structured programme designed to further reinforce CAD design, jewellery manufacturing and 3D printing processes. Kai-Blu was also rewarded with £500, with Lorna and Hayley receiving £250 and £100 respectively.